401 Commonwealth is located on the north side of Commonwealth, between Massachusetts Avenue and Charlesgate East, with 397 Commonwealth to the east and 403 Commonwealth to the west. 401 Commonwealth was designed by Peabody and Stearns, architects. and built ca. 1901-1902 for wholesale druggist Atherton Thayer Brown and his wife, Hannah King (Davenport) Brown. 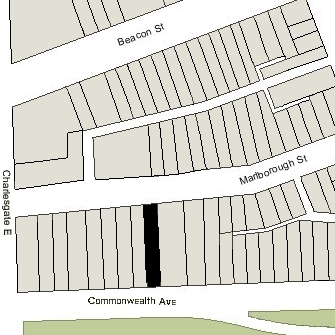 The rear of the lot on which 401 Commonwealth was built extends north to Marlborough Street and has a secondary street address of 450 Marlborough. Atherton Thayer purchased the land for 401 Commonwealth on June 8, 1895, from the estate of William G. Saltonstall, It was the western half of a lot William Saltonstall had purchased on January 13, 1886, from a real estate investment trust formed by Francis A. Palfrey, Francis A. Osborn, and Grenville T. W. Braman, part of a tract of land the trust had purchased on June 1, 1880, from the Boston Water Power Company. When the trustees sold the lot to William Saltonstall, they included language prohibiting the use of any building on the land as a stable and prohibiting the erection of any building of more than one story in height within thirty feet of Marlborough. Click here for an index to the deeds for 401 Commonwealth, and click here for further information on the land west of Massachusetts Avenue between the south side of Beacon and the north side of Commonwealth. Plans for the house — including a rear (Marlborough Street) elevation, longitudinal section, floor plans, framing plans, and detail drawings — are included in the Peabody and Stearns Collection in the Boston Public Library’s Arts Department (reference PS/MA.035). Click here to view selected drawings from the original plans for 401 Commonwealth. By the 1902-1903 winter season, Atherton and Hannah (Davenport) Brown had made 401 Commonwealth their home. They previously had lived in Roxbury. Atherton Brown died in March 1905. 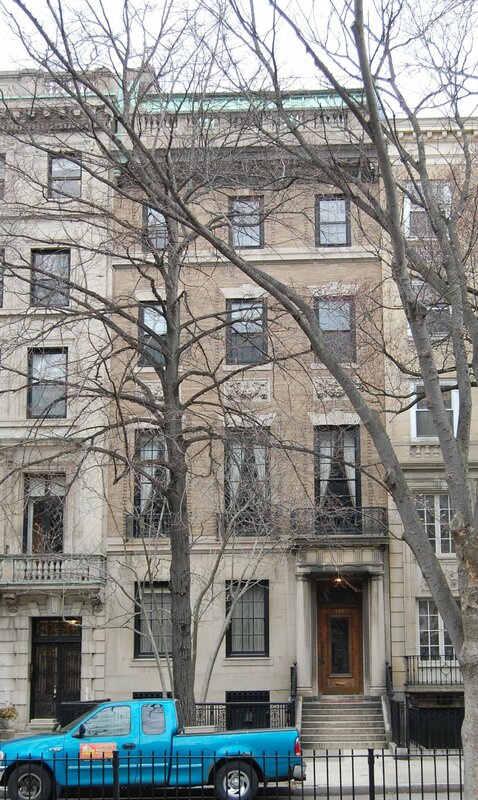 Hannah Brown continued to live at 401 Commonwealth during the 1905-1906 winter season, but moved thereafter to 480 Beacon. 401 Commonwealth was not listed in the 1907 Blue Book. On June 7, 1907, 401 Commonwealth was purchased from Hannah Brown by piano manufacturer and merchant Alexander Steinert. He and his wife, Bessie (Shuman) Steinert, made it their home. They previously had lived at 585 Beacon. Bessie Steinert died in August of 1924. 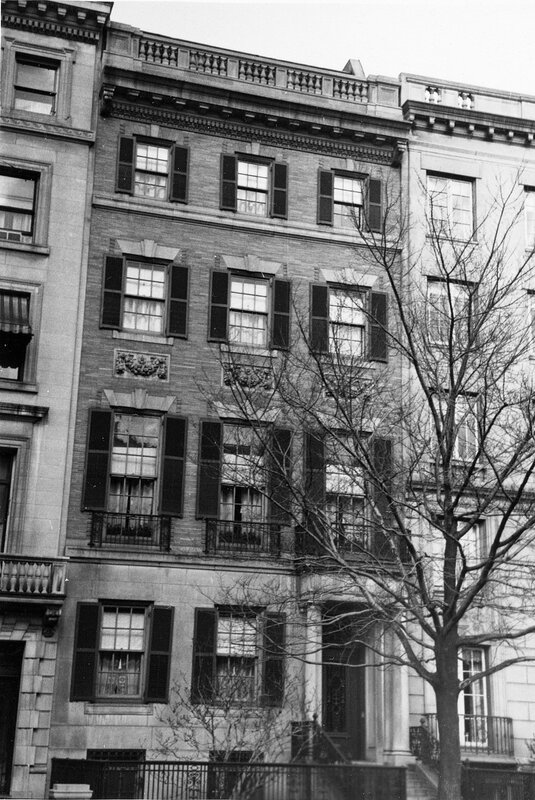 Alexander Steinert continued to live at 401 Commonwealth and remarried in August of 1926 to Lena (Friedman) Leviseur, widow of leather merchant Louis Leviseur. 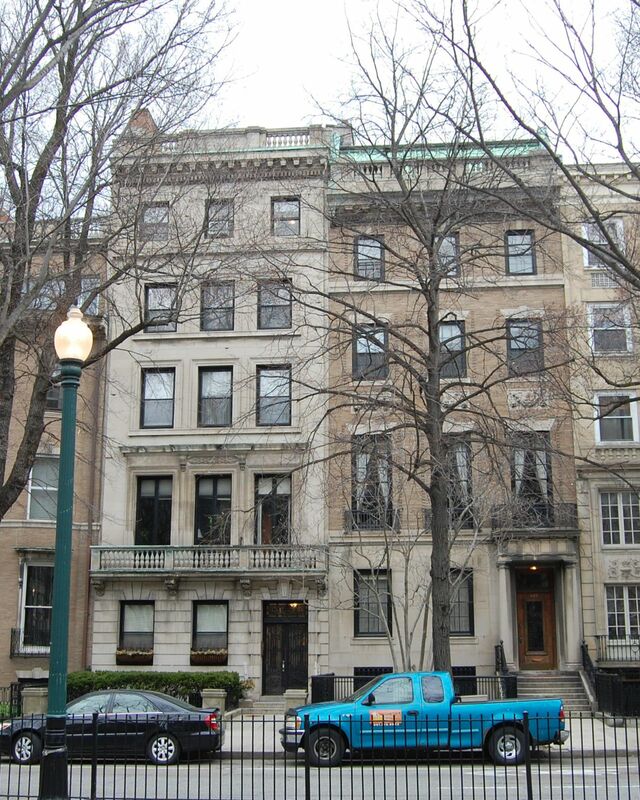 After their marriage, they lived at 401 Commonwealth and also maintained a home in Beverly. Alexander Steinert died in November of 1933. Lena Steinert continued to live at 401 Commonwealth, joined by her son, Frederick J. Leviseur. On February 11, 1936, Robert Shuman Steinart, as trustee under his father’s will, transferred 401 Commonwealth to The Alexander Corporartion, for which he served as president and treasurer. On December 30, 1947, The Alexander Corporation transferred 401 Commonwealth and the Steinert’s property in Beverly to the First National Bank of Boston. Although not indicated in the deed, it appears likely that it was acting as a trustee or in a comparable capacity for the Steinert family. Lena Steinert continued to live at 401 Commonwealth until her death in May of 1968. On December 26, 1968, the First National Bank of Boston transferred 401 Commonwealth to the Massachusetts Bay United Fund. Robert Barstow, president of Barstow Engineering, maintained a residence and offices at 401 Commonwealth, and leased space to residential and commercial tenants. On October 8, 2004, 401 Commonwealth was purchased from Robert Barstow by Stalin Colinet. On October 20, 2004, he transferred the property to Asa G. Barsoumian, trustee of the ARSTAR Realty Trust. In January of 2005, Ara Barsoumian filed for (and subsequently received) confirmation of the occupancy of 401 Commonwealth as a single-family dwelling and offices, there having been a lack of clarity because the legal occupancy approved in 1969 had been only for offices, but the property also had been used as a residence. On April 7, 2006, 401 Commonwealth was purchased from Ara Barsoumian by the Marl-Arden LLC (William R. Hettinger and Corinna Hettinger, managers). 401 Commonwealth remained assessed as a single-family dwelling in 2018.